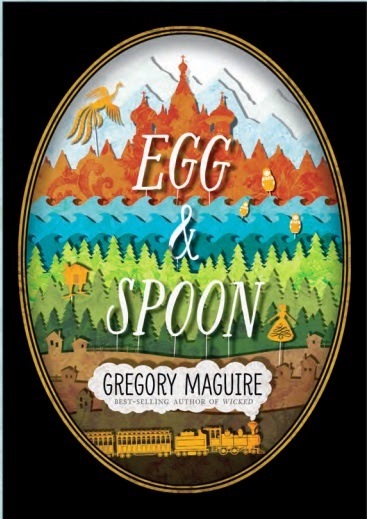 Egg & Spoon, is like The Prince and the Pauper on a train, but with girls, in Tsarist Russia. It's a very Russian tale of tortured intellectuals, hunger and fear. It's a very Russian tale of imperial pomp and courtly excess in which a Faberge egg can be lost in a treasure room and life sized Matryoshka Dolls can be discarded to float down the Volga and find lives of their own. It's a cavalcade of Russian myth from Baba Yaga's chicken legged house to the Ice Dragon of the North via The Firebird. It might also be a parable about global warming and positive action and the redemptive power of kindness. In short, it is epic in scope, rich in everything, funny, clever and thought provoking. Just read it, it's extraordinary. Egg & Spoon is being marketed as a teen book, but there's not much here that an advanced middle grade reader couldn't handle. Although be advised it may put them on the road to Dostoyevsky.